(Seychelles News Agency) - Scientists from the United Kingdom are preparing for an expedition to explore Seychelles' deep waters to study water quality and aquatic species -- even the level of micro-plastics -- and share the information with the government. Representatives from Nekton Deep Ocean Exploration are currently in the island nation to discuss specifics of the expedition to be undertaken at depths up to 500 meters. The scientists are expected to start their expedition in March next year and will spend two months collecting data, including water samples at different levels, species, plants, corals and planktons. Principal scientist of the Nekton Deep Ocean Exploration, Lucy Woodall, said that the interest of the team is about sharing knowledge through expeditions, adding that Nekton scientists recently completed a similar exploration in Bermuda. 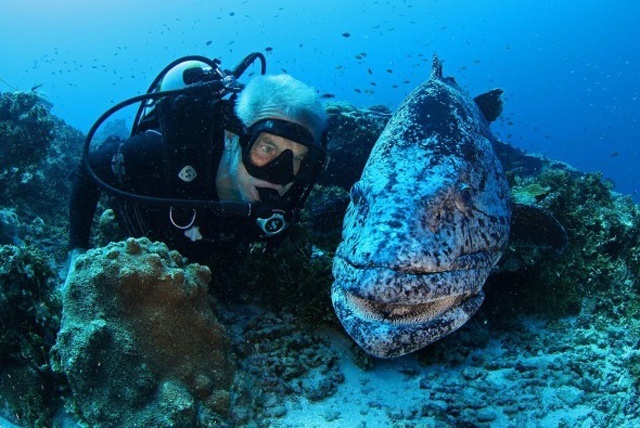 “In Seychelles, it is to see how biology changes across depths and across various locations in comparison to that from the expedition in Bermuda,” explained Woodall. “Future expeditions in the Indian Ocean will follow suit and Seychelles will take centre stage with this expedition,” said Woodall. Earlier this month Woodall along with team leader Paris Stefanoudis, met with representatives of the Ministry for Environment, Energy and Climate Change to discuss possible areas for the exploration. Seychelles -- a group of 115 islands in the western Indian Ocean -- covers an exclusive economic zone of 1.4 million square kilometres. The expedition is expected to be carried out in specific areas within the plateaus of designated outer islands with depths of 500 metres. Nekton Deep Ocean Exploration approached the Seychelles' government earlier this year for the expedition, noting that the Indian Ocean is an under-explored are with some areas having never been explored before, especially from the deep. “Water samples from various depths will allow us to know the level of micro-plastic in the ocean which has a direct impact on our health as fish consumers,” added Decomarmond. The Principal Secretary said that all underwater activities will be filmed, photographed and catalogued. “Apart from sensitive confidential elements, all information, data, photos, videos and even specimens from the exploration will be made accessible to the public and the world over,” said Decomarmond. A scientific mothership with state-of-the-art equipment on board is expected in Seychelles next year for the expedition. Nekton Deep Ocean Exploration has its headquarters in Oxford, England. Its purpose is to explore the depths of the ocean to reveal the unknown for the benefit of humankind. Nekton main aim is to create a step-change in knowledge and understanding of the ocean to accelerate its sustainable governance.